The Coffee Shop meets in the lounge on Tuesday Mornings between 10 am. & 12 noon. The Coffee Shop is an informal group meeting for a chat over a cup of coffee (or tea). Discussions range from the serious to the hilarious and everyone can be involved. There is no set agenda and the group is open to all. 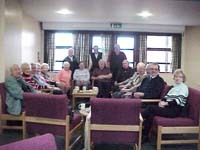 The Luncheon Club meets on alternate Tuesdays in the Church Hall at 12.30 pm. 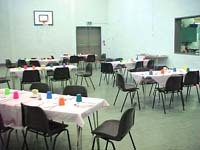 A two course lunch and a cup of tea or coffee is provided for £5. This is open to anyone in the community and all are welcome. There is no specific booking but up to date information is available if you contact Jane. © 2015 Bolton Road Methodist Church.